Easily work your favorite Bare Living body wash into a rich lather for a daily, aromatic body-cleansing experience. Apply small amount of body wash to loofah and massage into a lather. Add more body wash if necessary. 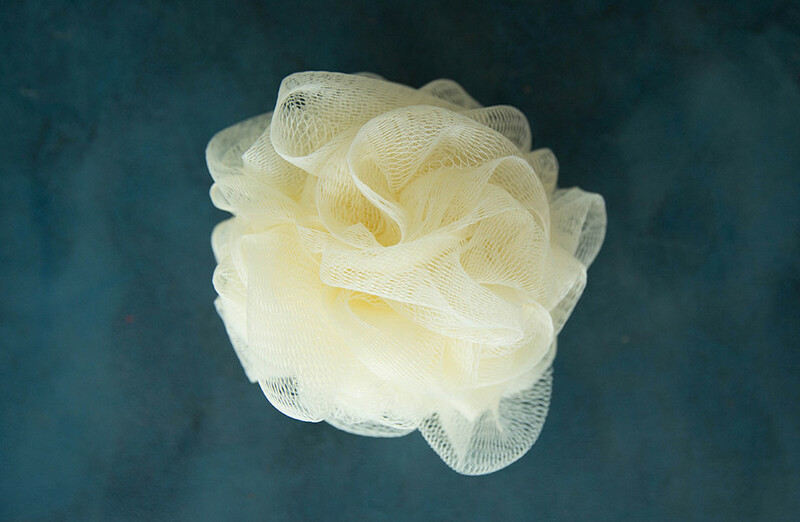 After applying to body, rinse loofah thoroughly and hang to dry. Replace every 1-2 months. Nature provides us with everything we need. It’s our responsibility to harness its powers to create superior, luxurious products that contribute to a healthier, more fulfilling life. When we set out to create a body care line, we had one goal: to deliver a high-quality product completely derived from nature. Bare Living decided to reach into the ground and pull up some of nature’s finest ingredients. This opened up the planet for us, leading us to source our botanicals from all across the globe. Our commitment to creating clean, non-toxic products has us continuously striving to find the best ingredients, and if it’s out there and we can use it, we will. We keep our ingredients as nature intended: natural. Our products will always be derived from plants, flowers, fruit, vegetables, and other natural sources. Enhanced with powerful, certified organic essential oils, you will experience the true quality of nature’s most luxurious products.